If it is serviced every year, then there is much less chance of it breaking down. A boiler service will also help to make your boiler last longer, and can save you from needing boiler repairs. Boiler servicing is pretty much a clean and check up on your boiler. antibiotics. As well an overall check on your gas supply and safety of the boiler installation. Some customers are quite shocked when they see the build-up of dirt, flies, and wasps that can come through the boilers flue over time. Keeping on top of it with an annual service, certainly helps to stop this build-up from causing problems with the boiler. Boiler parts and central heating radiators can collect dirt and sludge over the years, therefore causing your boiler to not work properly or even breakdown. Sometimes older boilers may need a full strip and clean boiler service instead of the standard annual boiler service. 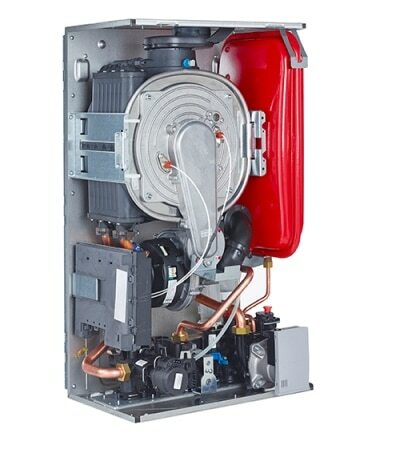 This includes completely stripping down your boiler and removing all of the working parts. The boiler parts will be thoroughly cleaned, and all put back together. Every boiler service comes with a certificate, filled out and signed by a Gas Safe registered heating engineer. A boiler service is the perfect time to have your carbon monoxide detector alarm checked. You might need to replace the batteries, renew the alarm, or maybe have one fitted if you don’t already have one. Carbon monoxide is created by gas appliances like boilers, cookers, and fires. It can cause serious health problems if any of your gas appliances are leaking carbon monoxide into your home. Is Your Boiler Under Warranty? Most new combi boiler installations come with a 2-year manufacturers warranty or more, Housewarms boiler of choice comes with a 10 year warranty – You must have your boiler serviced every year to keep the warranty valid. If you do not get your boiler serviced every year, then your warranty becomes void and you will have to pay for any boiler repairs. Therefore, all parts and labour costs will come out of your own pocket if it breaks down. If you rent out a property, then you must have a landlords gas safety check carried out every year to make sure all of the gas appliances are safe to use. Housewarm carries out boiler servicing in Newcastle, Gateshead, Sunderland, South Shields, Tynemouth, Washington, and all over the North East. Baxi, Worcester Bosch, Ideal, Vaillant, Biasi, Glow-worm, Potterton, Vokera, Alpha, Viessmann and all other makes of boilers serviced. Small boiler problems can lead to bigger problems if not repaired straight away, therefore, getting a boiler service once a year can help to prevent boiler repairs being needed. Boiler servicing can also save you from needing a new boiler installation before you really should have. Use this form to book an appointment for a boiler service or boiler breakdown repair.